Bare Root Hedging - Corylus Avellana (Single) - Large fast growing deciduous shrub. 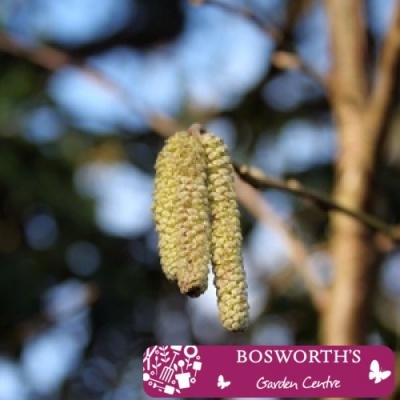 Conspicuous & distinctive long pale yellow catkins are produced in Spring followed by edible nuts in Autumn. The leaves are soft, slightly hairy, large & rounded with a pointed tip. They turn a beautiful shade of orangy gold in Autumn. Excellent for attracting a wide range of wildlife & good for providing a screen on exposed sites. Ideal for providing a tall hedge - 5ft & upwards.